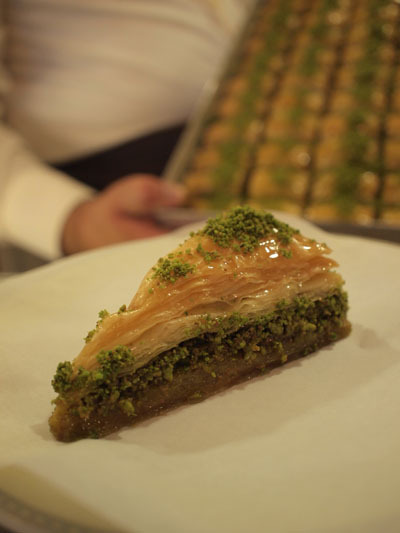 Greeks and Turks have bickered for centuries over which nation makes the better baklava, a sticky-sweet dessert of layered pastry devoured in huge quantities across the eastern Mediterranean and the Middle East. But for the past 10 years, Turkey’s best-known producer, businessman Nadir Gullu, has been supplying Greece’s closely held Baklavas Epe, which operated five stores in Athens. He provided about two tons of baklava and other Turkish sweets per month. Old rivalries aside, Athenians lapped them up—until, that is, they ran out of cash. 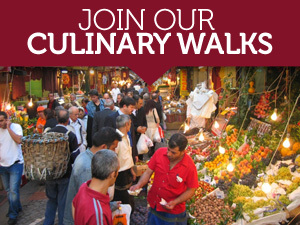 Baklavas Epe’s most profitable shop is on Athens’s landmark Syntagma Square. Before the crisis, tourists and locals queued up in droves to buy the pastries. But as the government embarked on a severe austerity program to reduce its debt burden and qualify for international support, demand sank. Baklavas Epe closed three of its five stores in Athens as sales dropped. Meanwhile, it ratcheted up close to €160,000 (about $226,000) in debt for deliveries of sweets from across the Aegean Sea, according to the company. Plunging revenue made it impossible for Baklavas Epe to finance baklava purchases from Istanbul. In Turkish newspapers, Mr. Gullu, the owner of Karakoy Gulluoglu, a well-known baklava shop near the shores of the Bosporus in Istanbul, said the Greeks should pay their debts within a year and the business relationship was in jeopardy. With elevated wage costs and sporadic vandalism amid protests over austerity measures adding to its woes, Baklavas Epe said it needed more time. Besides, it said, Mr. Gullu in public comments had exaggerated the amount of the debt. In short, it didn’t look good for business and friendship in the Greek-Turkish baklava trade. Fortunately for the Greeks, Gullu has decided to cut them some slack by extending the amount of time they have to repay their loans. As part of the deal, it looks like the two companies will also open up a co-owned coffee shop in Athens. Full article here. 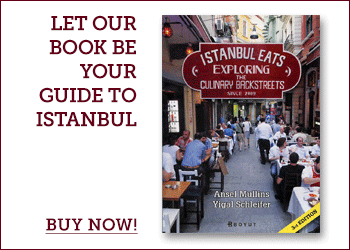 And the Istanbul Eats review of Gulluoglu here. Well almost…There is no famed EPE. 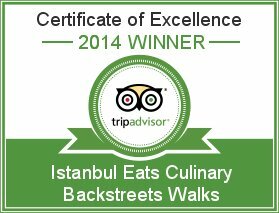 Baklavas EPE is a transliteration of Baklava Ltd, a company which operates Gulluoglu shops in Athens for a decade. They are amazingly expensive and this the real reason of their not so very recent troubles. Comparable quality can be purchased at half the price by a number of rivals, especially the host of Istanbul born and trained baklavaci of Athens and Faliron.